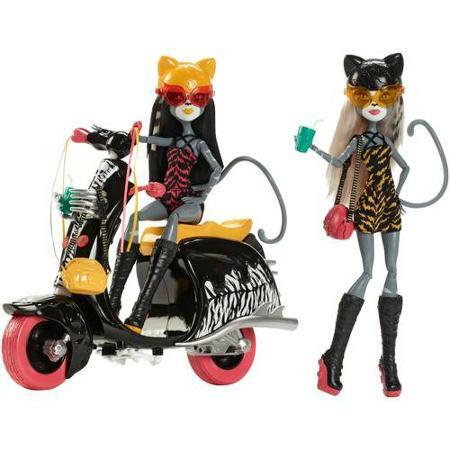 Over Christmas, I stood in the middle of a dirty and crowded Wal-Mart aisle for twenty minutes considering whether or not to buy a toy moped that matched the cat-like Monster High dolls my 9-year-old niece has. I mean, this thing was pretty damn awesome – you could decorate it with stickers, the black ‘paint’ was super shiny with zebra stripes, and I knew her dolls would look really awesome zooming around on it in their cute dresses and their perfectly high-lighted hair flying behind them. She’d love it. No doubt. I knew this would make her Christmas. Until Alex pointed out that it wasn’t what she asked for. The truth is – I don’t think I’ll ever grow up. I still zip my high-heel boots up over my hidden Batman socks. I prefer seeing an animated family movie over any other genre. Feeding the ducks and making a stuffed animal at Build-A-Bear seems like a great afternoon. A game of Clue and hot chocolate tops off the perfect night. I don’t know how I ended up so weird. Which leads me to a… Fun Fact: People with awkward and weird personalities tend to make the best friends. So… anyone want to come play a rousing game of Clue with me while Finding Nemo plays in the background? Bonus – I even have some peppermint hot chocolate leftover from Christmas to share. I am the same way with my little pony. It’s even better for me. I’m a 66 yo grandpa, so I get to buy toys for my young grandkids, and then get down on the floor and play with them. You know how Grandparents are, they often don’t get what the kids want, they get what they would like to play with. I am anyway. Go for it. I think they’re pretty damned cute. I have those boots in red and also black. That just shows how much cooler you are than me lol. Obviously. Only kidding. I have a knack of putting all the wrong things together in an outfit and yet somehow, they come out looking almost better that way. I am a fish mash of whatever is the least fashionable. I’d pay Clue any day of the week! Yes, it is! One of my all time favorite games! Oh my gosh. Can we be friends in real life and not just the Blogosphere?! Awesome! Finally, someone who will appreciate my PEZ collection! And (turns red and hides face), I recently bought my gingerbread man a Superman T-shirt at Build-a-Bear. Is that weird? Thanks for visiting The Embiggens Project!! The one in the red boots…Looks like the lot lizard that knocked on my door at a truck stop one time! Oh I am in so in for Clue, Finding Nemo, and hot chocolate. Sounds amazing! Being an adult is severely over-rated. Sounds like a hell of a good time! I don’t think it’s weird, anyway. I haven’t got into the Monster High series but I could see myself doing so. You seem like quite a bad influence haha. Jeez! Stay away from acid, okay? I love weird! Weird is an absolute blast. I do too. I had to break down & buy a couple of band shirts. They’re too cool not to. So – wait, you didn’t buy it? Hell, I haven’t grown up and I’m 46. When my son was little I’d color the menus they give out at restaurants because he wasn’t interested – now they have Coloring Books for Adults, but those don’t interest me. I’d accept them as gifts! Thank God for “grown up” coloring books. Now I can color and pretend to still be mature 😛 Although I may be giving the game away with my oft-stated goal to topple my son’s record of totally kicking my behind in Stratego (he got it for Christmas). I will destroy his battlefield!!!! My favorite movie EVER is The Incredibles. And I have a Spiderman on my desk with 67 points of articulation (so he can do yoga AND flip off annoying coworkers) I have a ton of toys on my desk…. Seriously, how super is a hero who can’t flip someone off? I like Clue, well mostly I like the little weapon trinkets . . . . they are cool. Go buy it and have fun. My 30 something kid gets toys every BD from his wife. I think they are hideous but you only get so much time. Enjoy! I guarantee that you don’t want to watch me in a Just Dance challenge on the Wii! Weird and awkward is only a problem to the normal and boring. While monster high doesn’t do much for me. If it takes away the world and balances the mind and spirit, wrap the zebra stripes on that bad boy (or bad girl)! Never actually heard of monster high before! But I’ve not been in the US since 20011 so it makes sense that I’m behind. Now, if it was a Harley and not a moped, I’d have been tempted! Or maybe a Vespa, those have cool-factor. Hubby bought me FOUR board games for Christmas. We’ve played one – Train Conductor. It’s hard to find games for just two people! None of the rest sounds odd at all. I wear New Rock boots and spongebob hair ties. Meh! Four board games? Lucky haha. A Harley would have been badass. I definitely would have invested the money if it was a motorcycle! I love peppermint hot chocolate! It all depends on your perspective I guess – I think overly-serious people are seriously weird, myself! At 78 one of my favorite things is to play “Loopin Louie” or now the updated version, “Loopin Chewy” with the younger grandchildren. They really get into it because I scream and groan and cheer and hiss while playing it. I confess that I do enjoy a good game of poker with the older grandchildren…..taught a 13 year old granddaughter how to play one Christmas Eve. I’m not sure what Loopin Chewy is. I’m going to have to look it up 🙂 but poker, I’m with you but 100%. I love poker. Seriously, Get what you want, Girlfriend and don’t be ashamed. You only live once. Plus, yours talking to someone who bought a gigantic Darth Vader that talks from Walmart before Christmas, and just recently an expensive Fake Sheep. Pleased to meet you, new friend. Thanks for stopping by the Swamp. I’ll come play Clue; The Squire has relatives in the Asheville area. I really enjoy board games and jigsaw puzzles. The hot chocolate sounds good, but do you mind if I leave out the peppermint? I’ll even bring my American Girls, and we can play dress up. Once you hit fifty, nobody can make you grow up – and I am waaay past that.